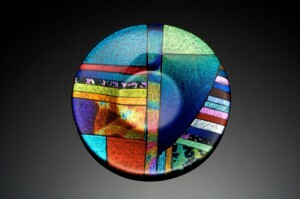 Glass art is a prized commodity that is sought by a wide range of consumers. What has long seemed like a niche business is taking off the world over, and some artists have even been fortunate enough to open their own businesses. In some cases, these artists are churning out works at a factory pace to keep up with demand. AO Glass Works, situated in Burlington, VT, is one such small craft studio that exploded into a small business because of interest in the work of husband-and-wife team Rich Arentzen and Tove Ohlander. As this report from local Vermont news website WCAX.com shows, the couple have moved on from a private studio into a more manufacturing-type setting, with six employees and ultra-modern kilns. Offering a diverse array of products is one way AO Glass Works is able to stay successful as a business. Although they make a decent amount of smaller items for individual sale, about half of the business is focused on creating designed glass art for commercial lighting companies. Although this level of production is pretty unique in the glass art world, just think of all of the great applications stunning glass designs have in homes, stores and offices. 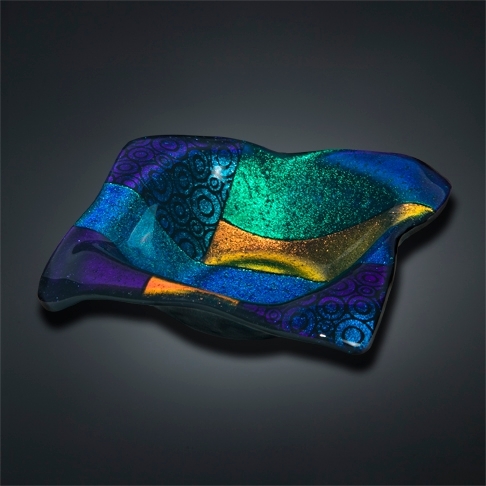 Here at Designs by Shoshana, we offer a few styles of glass art that allow you to enjoy these fine pieces in a number of practical ways. The Functional Glass section of this website includes a wide array of plate and serving dishes that will look great on your table. We also offer vases, jewelry and a number of other styles of decor that will pop in any setting. Everyone’s looking for small ways that they can make their living and work spaces a lot more livable. When you want to insert a little artistic variety in your life, give one of these original designs a close look and see if you can find a perfect reflection of your personality.